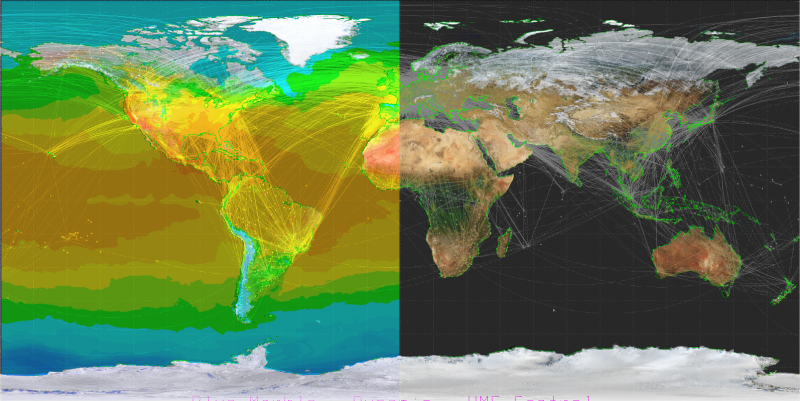 Running a modern national meteorological service implies collecting, processing and archiving an immeasurable quantity of data coming from various information systems in the fields of observation, telecommunication, forecasting, climatology and services to end-users. Harmonizing and rationalizing all these outputs in order to be able to process them and make the most out of them is the offer CIPS makes to you. 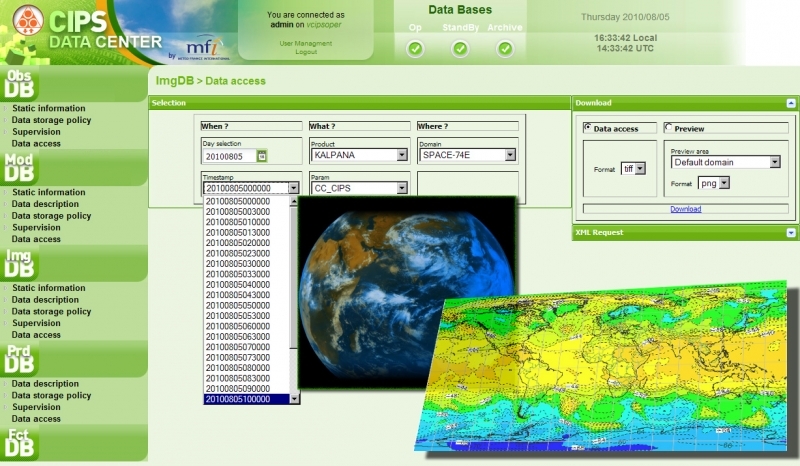 Discover MFI's unique central information system able to provide real time data management, long term archiving and back-up, high power processing, as well as an open environment for R&D development and operational task scheduling. 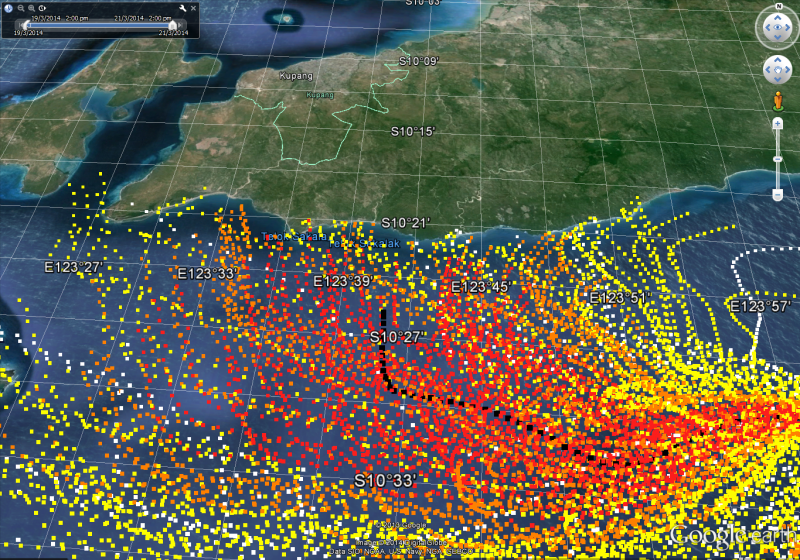 Put CIPS at the heart of your meteorological service and take full control of your meteorological ecosystem. 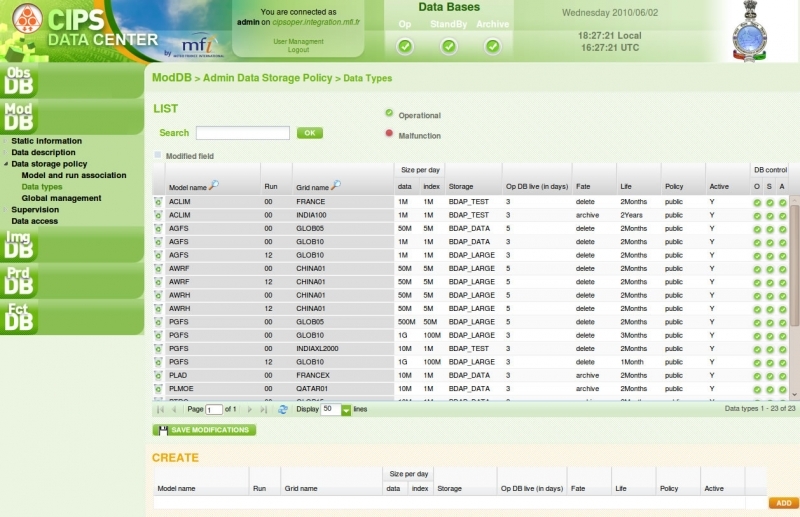 - Integrate and archive all type of meteorological information data according to specific data policies defined according to your own personal requirements and standards. 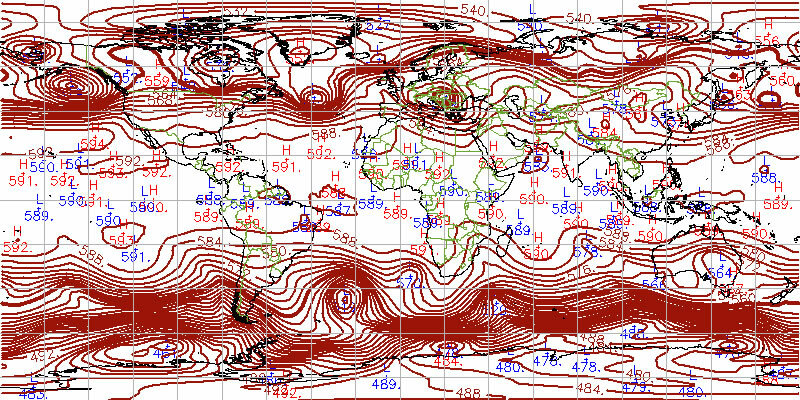 - Offer an easy access to all data making research and retrieval of any meteorological information a simple process. 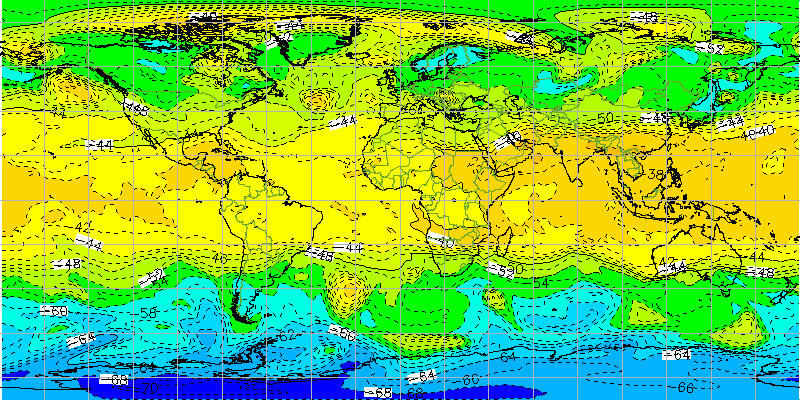 - Provide high processing capacities allowing you to run numerical weather prediction models or other computation tasks. - Simplify your work by automating operational tasks: from data control to specific daily processing (such as but not limited to satellite or radar data processing) or Numerical Weather Prediction model runs, CIPS allows you to create and schedule various meteorological tasks. 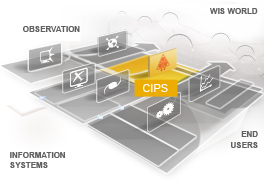 These are CIPS's key functionalities. The system has many more. For further details, contact us. - A scalable and modular solution: CIPS can be implemented in a step-by-step approach according to your priorities, your strategy and your constraints. Storage and computing capacities can easily be extended and the system can come with or without a HPC (High Performance Computing). 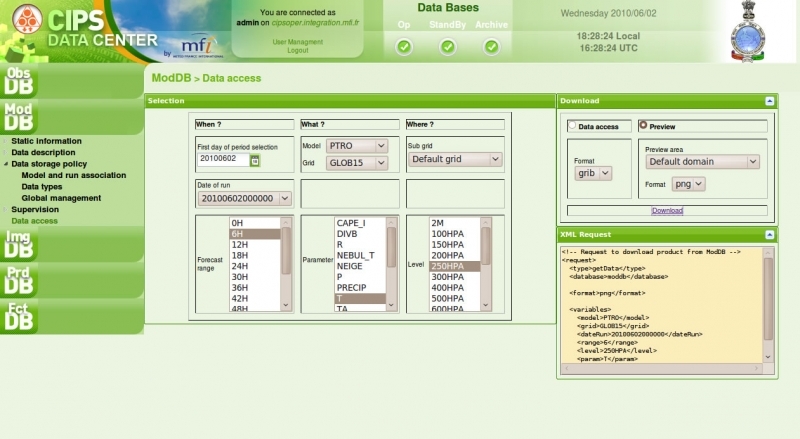 - A highly integrable system: CIPS can easily be connected and interfaced with all other MFI's information systems (Transmet, Synergie, Clisys or MeteoFactory®), allowing you to build a state-of-the-art integrated and interconnected meteorological ecosystem. 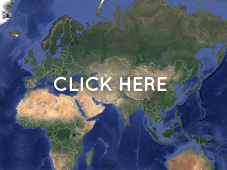 - A full compliance with WMO information system WIS: choosing CIPS will allow you playing an active role in WMO WIS program and even apply for DCPC or GISC status. 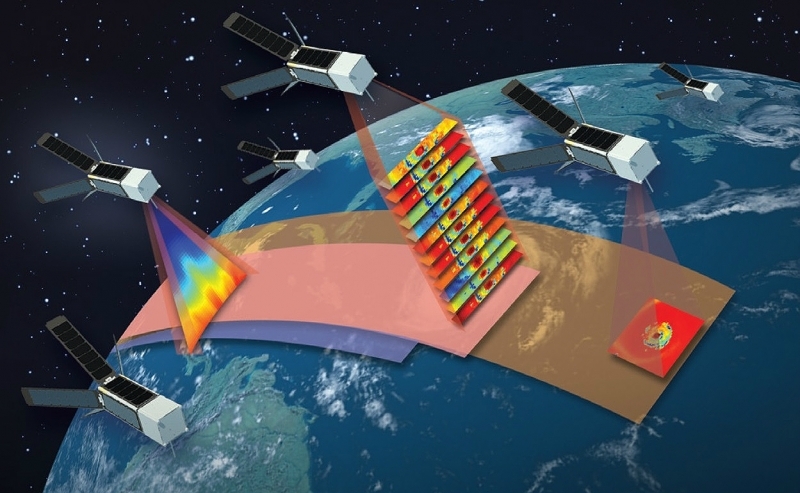 Data and metadata management, catalogues and other products generated by CIPS follow WIS specifications and are therefore available for all WMO WIS community. The best way to apprehend CIPS's uniqueness is to visualize it! Contact us for a demo.